Are you tired of breakfast posts yet? No? Perfect. I have another breakfast post for you. This one may seem very normal and boring. However, this is anything but boring. You may be thinking how can this recipe be special when it’s so easy to make. It seems too easy, right? Well, I must tell you this baked oatmeal is delicious and so simple to make. This recipe is one of the easiest to make. It only requires some simple mixing and baking, that’s it. It’s also very delicious. If you aren’t a fan of traditional oatmeal, you may actually enjoy this one. I happen to be a fan of those sad little oatmeal packets that you mix with water (don’t judge me). This is gourmet compared to those packets. This was actually impressive with how yummy it was. I topped my servings with fresh strawberries that had macerated some. I also had it with some maple syrup drizzled on it. It was outstanding. I love this baked oatmeal. It’s perfect for any morning. You can also refrigerate it overnight before baking it, so it’s very simple to make ahead of time and bake it when you need it. If you love oatmeal or you don’t, I think you should give this a try. It may surprise you! The first step is to whisk together the eggs. You can also use liquid egg whites, so whisk those during this step if you opt for that substitution. Whisk in the brown sugar, baking powder, cinnamon, vanilla, and salt until there are no lumps. 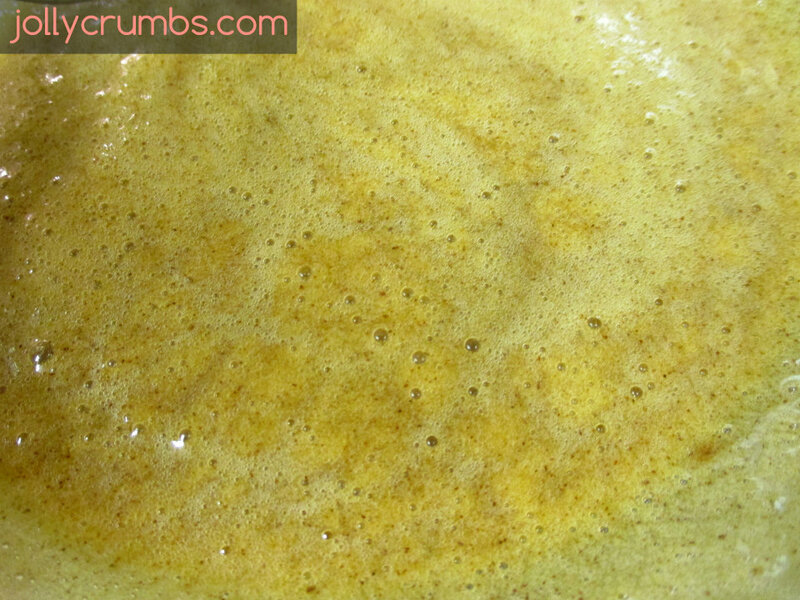 The mixture may be a bit foamy or bubbly, so don’t worry. Stir in the milk and melted margarine until completely combined. Add the oats in to the liquid mixture. Stir until everything is well combined. There will be a lot of liquid, but the oats will soak this up during baking. 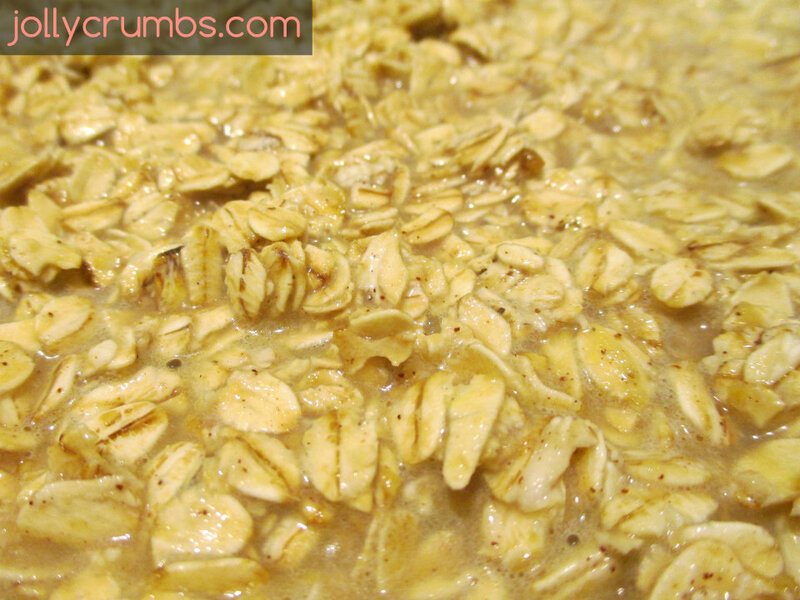 Pour the oats and liquid into the prepared baking dish. Spread evenly in the pan. 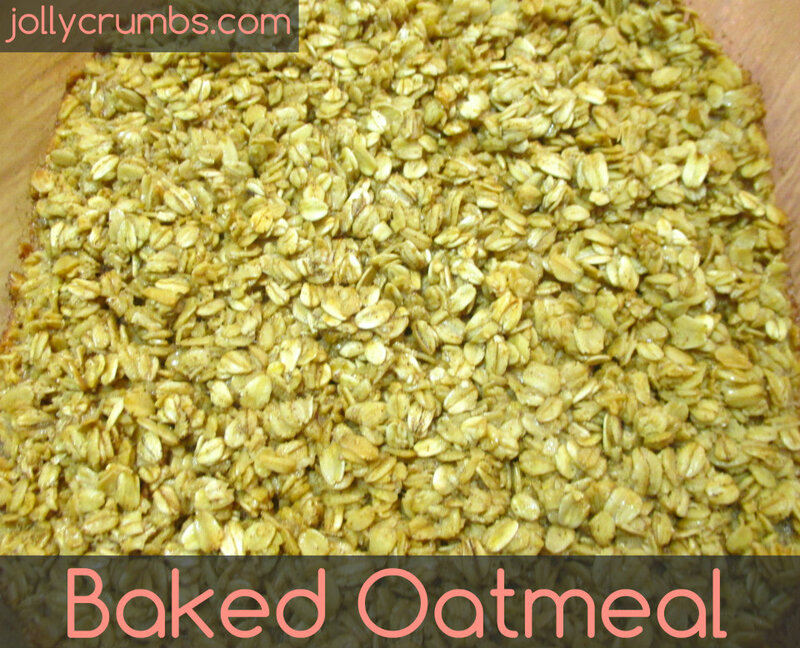 Bake for 30 to 40 minutes or until the oatmeal is set. All the liquid should be absorbed and the oatmeal should be firm. Cut the oatmeal into squares and serve it warm. You can top it with anything you would like. I highly recommend fruit or syrup! Oatmeal seems boring. Oatmeal can be boring. This oatmeal is not boring. It’s full of warm flavors, and it is perfect for any breakfast. If you need to change up your morning oatmeal, this could be the perfect way for you to do that. It’s so delicious and filling. This baked oatmeal is too easy not to try. I served this to my staff at dinner, and a few of them went back for seconds. That’s a pretty high compliment for an oatmeal dish! This is an oatmeal that will convert you if you aren’t already a fan, I promise. In a large bowl, whisk together eggs. Whisk in brown sugar, baking powder, cinnamon, vanilla, and salt until there are no lumps. Stir in milk and melted margarine. Add in the oats and stir until everything is well combined. Pour and spread evenly into prepared baking dish. Bake for 30 to 40 minutes until set. Cut and serve the oatmeal warm. I topped mine with fresh, macerated strawberries. It’s also delicious with maple syrup. Feel free to top it with whatever you like! Yay! So glad you are enjoying that recipe! Yum. I just made a 1/2 recipe and I’ve got breakfast all ready to roll before early work or classes for the next few days (if it lasts that long). This is a fantastic combination of both oatmeal and french toast, and better than either. Thanks for sharing.